Professional hoarding clean-up solutions are one of the more unique services that BIOPRO, LLC offers. More than just a cluttered house cleaning service, we help deal with the serious issue of hoarding by offering property and trash clean-up services, as well as odor removal, and more. If you or someone you know is a hoarder looking to turn over a new leaf and they require extensive clean-up and decontamination services, our compassionate and experienced team of cleaning professionals will work with you to address issues regarding hoarding, and help us return you to a more pleasant and manageable lifestyle. Cluttered house cleaning is an all-encompassing job, particularly in cases of hoarding, but we can help you. 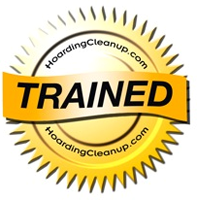 Hoarding is a very serious issue that traditional house cleaning services are not prepared to deal with. However, BIOPRO, LLC has helped countless families and individuals in the Grand Canyon State dealing with this difficult and delicate issue, and we offer comprehensive hoarding and biohazard clean-up services to help you get your home back in working order. Hoarders that want to start anew can do so with the help of BIOPRO, LLC. More than a traditional house cleaning service, we deal with the heavy-duty lifting associated with cleaning and sanitizing a hoarder's home. Our skilled Arizona-based team has experience with hoarding situations, and we are here to help you change for the better. 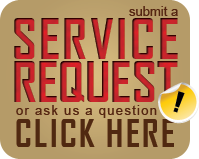 For more information on our expert professional services, please call BIOPRO, LLC toll-free at (877) 492-7549 today. You can depend on our expertise to help return your home to normal.